Sierra Nevada Corporation (SNC) has formalized its agreement with NASA under Next Space Technologies for Exploration Partnerships-2 (NextSTEP-2), signing a contract to design and develop a prototype for a deep space habitat. The formal signing of the contract under NextSTEP Broad Agency Announcement, Appendix A: Habitat Systems, aimed at enabling potential long-duration human missions in deep space, clears the way for actual production of SNC's prototype in the coming months. “The future of human spaceflight includes long-duration travel in deep space and these prototypes will help develop the concepts to make it possible. The idea that humans are starting to expand farther into space than ever before is exciting and we’re thrilled to be a part of it,” said Fatih Ozmen, owner and CEO of SNC. 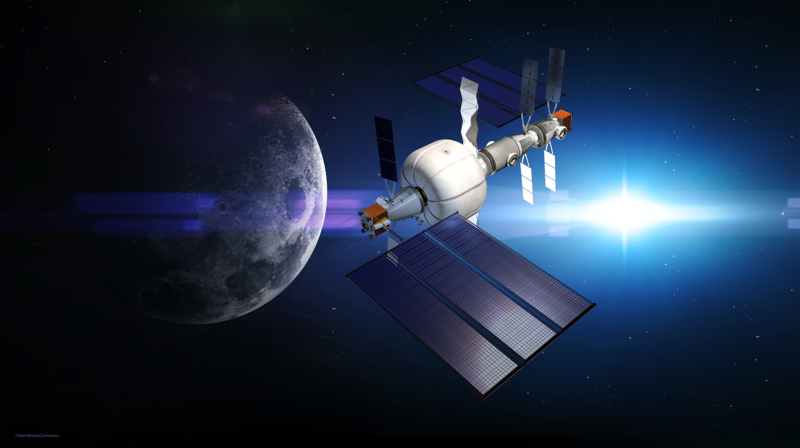 The public-private habitation development work supports NASA’s study of a deep space gateway concept in cislunar space. Located in lunar orbit, a gateway could enable a new level of space exploration never before possible. NASA gateway studies and prototypes will be used to look at commercial capabilities and risk reduction as the agency defines requirements and objectives for the spaceport. If the concept is approved, the gateway would launch in several elements, and the first would be power and propulsion. SNC is studying this element under a separate NextSTEP Broad Agency Announcement contract award for Appendix C: Power and Propulsion Studies. SNC envisions the power and propulsion element utilizing the company’s logistics and control module (LCM) and solar electric propulsion module (SEPM) as initial building blocks for our proposed deep space gateway architecture concept. LCM delivers a utility room that houses avionics, guidance and navigation control and life support systems. A version of the LCM combined with the SEPM provides transportation, station keeping and orbit transfer while stationed around the moon. Large inflatable fabric environment (LIFE) provides pressurized volume for living quarters, exercise equipment, experiment area, SNC’s advanced plant growth system and emergency radiation shelter for long-duration habitation. Flexible airlock architecture allows for in-space assembly, extravehicular activities (EVA) by crew members and docking of visiting vehicles such as Orion. The deep space gateway concept complements SNC’s extensive space portfolio which includes the Dream Chaser® spacecraft slated to start resupply missions to the International Space Station in 2020 under NASA’s Commercial Resupply Services-2 contract. SNC’s work under the NextSTEP-2 architecture leverages technology developed for the Dream Chaser vehicle including proximity operations systems for in-space vehicle docking, environmental control and life support systems, as well as other essential subsystems for on-orbit operation and control. “Working on this technology shows SNC’s dedication to the future of spaceflight and long-duration exploration missions that are critical to NASA’s vision of space exploration,” said Mark Sirangelo, executive vice president of SNC’s Space Systems business area. SNC previously won a NASA award for Phase I of the project that allowed research on a concept study for a habitat life support system. The study incorporated the concept and development of a prototype for the Greenwall, an advanced plant growth system for long-duration human sustainability in deep space.